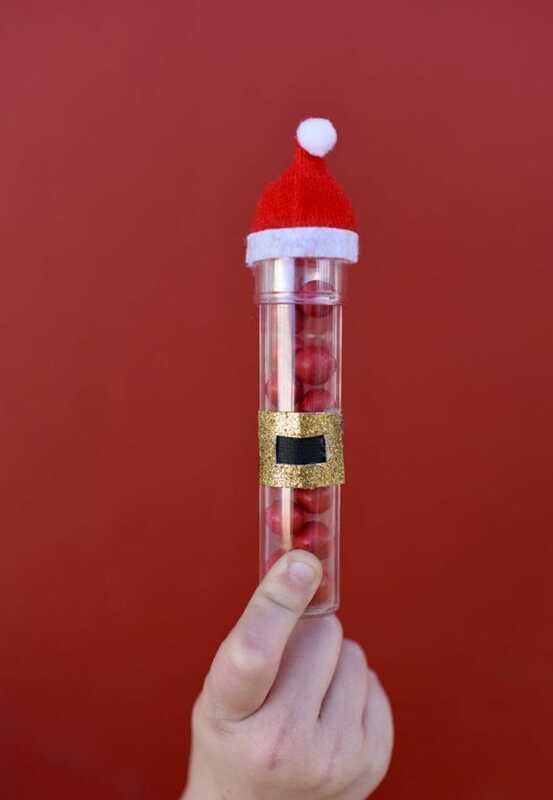 We’re excited to parrtner with Oriental Trading Company on this Santa Candy Tube Treats Tutorial. Every year my kids ask me if we can do something for their friends at school for Christmas (usually at the last minute on Thursday night right before their Christmas break). 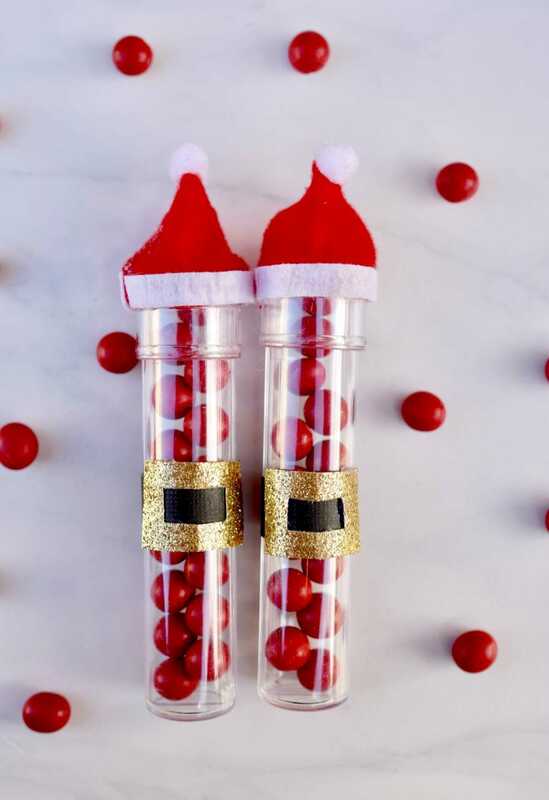 This year I’m planning ahead and making some cute Santa candy tube treats for their friends! The cute little Santa candy tube treats are a cinch to make and look so cute and festive. 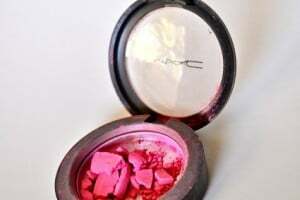 Today I’m sharing the easy tutorial with you. 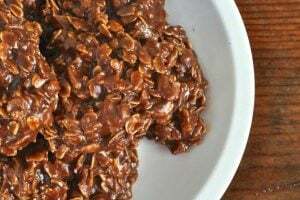 These are great to make up a batch ahead of time and to have on hand when you need a little treat for someone. I bought most of my supplies for this project from Oriental Trading Company. They have practically everything you could even imagine that you’ll need for Christmas and the holidays! Step 1. 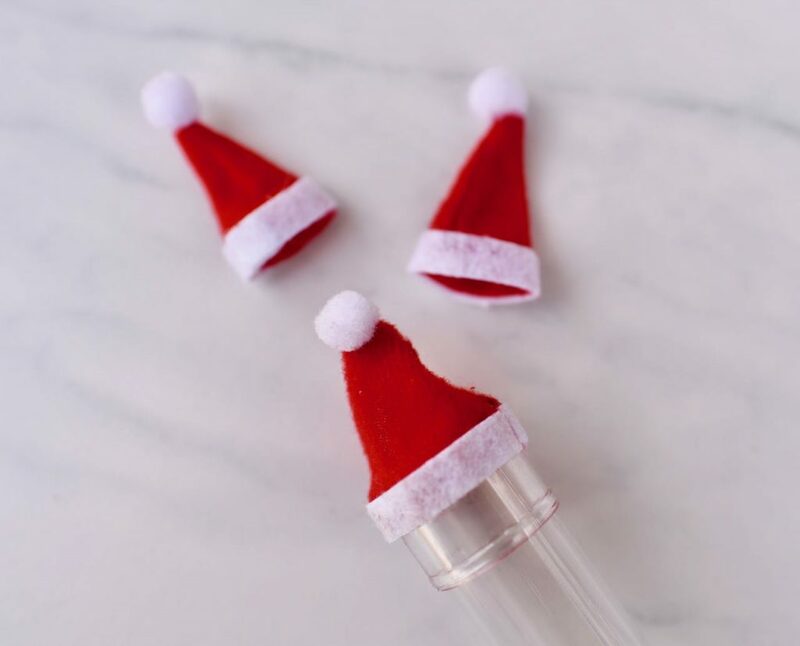 You’ll need two mini Santa hats for each Santa candy tube. Cut along one side of each hat and stop when you get to the little ball on the top. Step 2. 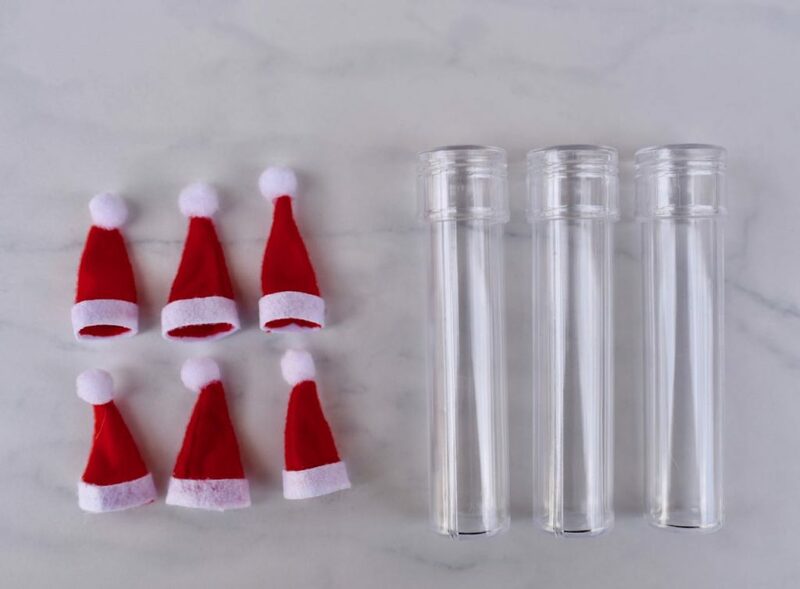 Wrap one hat around the lid of the favor tube. Carefully hot glue the hat onto one side of the lid, then repeat for the other hat so that the entire lid is covered. 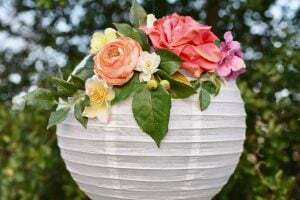 Cut off one of the white balls on top, then add a little glue to connect the two hats at the top to make them look like one. Step 3. Cut out a thin strip of black paper. Cut a small rectangle out of the gold glitter paper. 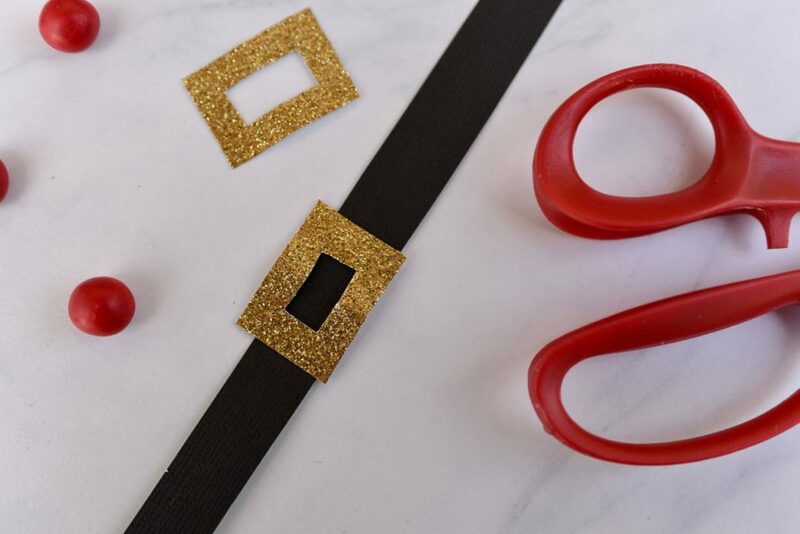 To cut the middle of the belt out, gently fold over the two side edges, cut out the middle, then glue onto the black belt. Glue the belt onto the middle of the favor tube. Step 4. Fill each favor with red chocolate candy. Give to friends, your kids’ friends, and anyone else who could use a little Christmas cheer! 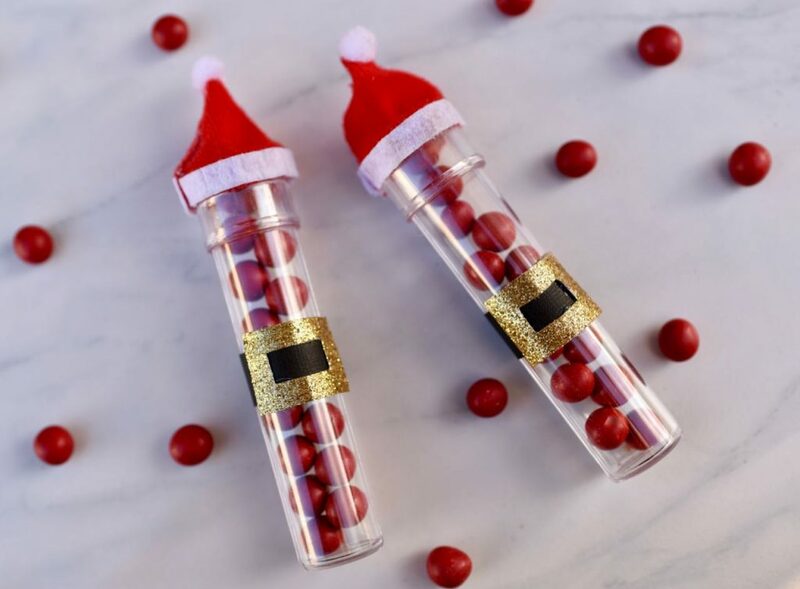 These darling little Santa candy tube treats are the perfect treat to have sitting in a basket at home, ready for giving to holiday visitors. Oriental Trading Company has TONS of fun things for all your holiday entertaining, decorating, giving, and more, so be sure to check them out.